In her telling, Christine Hallquist transformed an antiquated organization on the brink of bankruptcy into one of the most innovative utilities in the country. She empowered employees, modernized equipment and implemented cutting-edge programs. Hallquist, now the Democratic candidate for governor, cites her 12 years as chief executive officer at Vermont Electric Coop to make the case that she's qualified to lead the state. The co-op based in Johnson serves about 32,000 members across eight counties. The Hyde Park executive, who stepped down as CEO in February to run for office, is widely credited with bringing stability to VEC. Under her watch, the co-op strengthened its finances, professionalized workplace policies, embraced new technology, reduced outages and sourced more power from renewable energy sources. Nevertheless, the version of events Hallquist has told on the campaign trail has sometimes been exaggerated and inaccurate. Public documents, regulators, customers and employees tell a less dramatic and more nuanced story about her time at VEC. Hallquist rose to CEO from modest beginnings. She worked as a RadioShack salesperson while getting an associate's degree in electrical engineering technology at Mohawk Valley Community College in Utica, N.Y. She moved to Vermont for a job at IBM but left the company after a year to work as a technician for Digital Equipment in South Burlington. 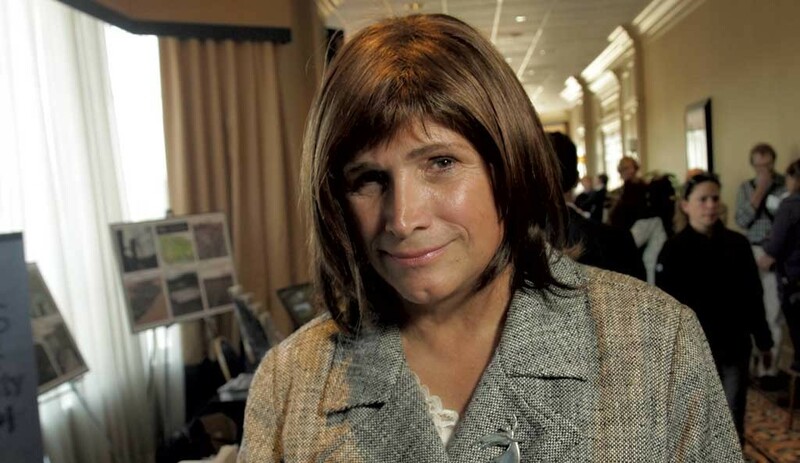 Hallquist, who said she was promoted to supervisor after only three months, took engineering courses through an arrangement the company had with the University of Massachusetts. "Then I became an electrical engineer," she told Seven Days, a statement she has made previously, and one that has been widely repeated in news stories about her campaign. Whether that's a label she can rightfully claim is questionable. Hallquist acknowledges she never got an engineering license or a bachelor's degree. State law prohibits someone from identifying as a "professional engineer" without a license but is silent on using the term "engineer." Arthur Schwartz, deputy executive director and general counsel at the National Society of Professional Engineers in Virginia said, "Our position is, at a minimum, people should not use the term 'engineer' unless they're either licensed or they have a four-year accredited degree." "I never said I was a professional engineer," Hallquist later emphasized. "I said I was an engineer by trade. That's very common in the industry." Hallquist left Digital in 1990 and spent the next three years as CEO of a small Barre manufacturer, SB Electronics. From 1994 to 2000, Hallquist said, she consulted for business clients including Keebler, Ocean Spray and Honda. "People would bring me in to solve problems," she said. At first she focused on improving manufacturing techniques; she recalled helping Keebler burn fewer cookies by tinkering with its dough-making. By the time VEC CEO Kelly Enright sought her services as an engineering and technology consultant, Hallquist said, she had "evolved to the point where I was looking at the total business." It was 1998 — two years after the small Vermont utility had filed for bankruptcy, a result of what regulators deemed reckless investments in nuclear power plants that were never built. In 2000, Enright hired Hallquist as engineering and operations manager. Enright did not respond to an interview request for this story. In 2004, Enright oversaw the co-op's $18 million purchase of another northern Vermont utility, which more than doubled VEC's customer base. Under the previous owner, Citizens Communications, the utility had been plagued by "long-standing patterns of fraud and deceit," according to the Vermont Public Service Board (now the Public Utility Commission). Both utilities suffered from outdated equipment and poorly maintained electrical infrastructure, leading to frequent outages. The merger, by most accounts, did not go smoothly. Hallquist said she wrote the plan to combine the organizations, but it "was not carried out." She declined to elaborate, saying, "I don't want to slam people." Enright left the co-op in late 2005, and Hallquist became CEO. Until Monday, the home page of Hallquist's campaign website stated that she "led Vermont Electric Coop from near bankruptcy to nationally recognized utility, without raising rates." She told Seven Days this month that the co-op would likely have gone bankrupt in 2005 had regulators not approved a rate increase. But former state officials and regulators remember the financial picture differently, and contemporaneous Public Service Board documents make no mention of bankruptcy. "By the time Hallquist got there, I think the co-op was in pretty good shape," recalled James Volz, who was serving on the utility-regulating board at the time. "I don't think I would characterize [the financial situation] as dire," said David O'Brien, who was governor Jim Douglas' commissioner of the Department of Public Service from 2003 to 2011. The co-op's government affairs and member relations manager, Andrea Cohen, told Seven Days that a credit-rating agency did put VEC on a "negative watch" in October 2005 — a sign that its already low BBB- rating might drop further. But according to Cohen, "We are not aware of any time where we were considering bankruptcy during the negative credit watch." Hallquist stands by her characterization. She said that the co-op, in addition to its poor credit rating, had been failing to meet loan conditions, which also put it at risk of going bankrupt. An inquiry to VEC raised doubts about that, as well. Cohen said staff "looked back to 2003 and couldn't find a time where we failed to meet our loan covenants," though she noted that the co-op came close several times. Hallquist also contends that when she took over, the state was considering revoking the co-op's certificate of public good, which is crucial to its ability to operate. When pressed, she said, "That's what David O'Brien threatened in a meeting," but acknowledged that "it wasn't an official position statement of the department." "I don't recall saying that, but even if I did, I don't think that rises to level of saying the company faced the removal of its CPG," O'Brien said. "People have to understand that's a very, very dramatic step to take." Further, it is incorrect that Hallquist strengthened the co-op without rate increases, as her campaign website stated. Shortly after becoming CEO, Hallquist asked the Public Service Board for a 14 percent increase — the first of six hikes she requested during her 12-year tenure. Asked about the claim on October 17, the candidate said, "Oh, that's not true. I will correct that." Her staff did so on Monday, after a reporter inquired about it a second time. In 2006, the Public Service Board approved Hallquist's 14 percent rate increase — but attached significant conditions: It required that the co-op submit to an extensive business review and audit of board policies, as well as "power planning, budgeting, organizational structure and staffing levels, company decision-making processes, and strategic planning." That, according to several retired regulators, provided the road map for VEC's recovery. "Having that third-party objective review was a springboard for starting to make some serious structural change," said O'Brien, who emphasized that "Christine very much supported that. She was very reasonable to work with." In December 2007, the business consultants issued a report with more than 100 recommendations; Hallquist said she agreed with nearly all of them and worked quickly on implementation. "The larger story of turning the utility around and having a good result come from regulatory action is a good enough story," O'Brien said. "It doesn't need the Hollywood plot twists to be relevant and meaningful." One key change that occurred during the turnaround: VEC developed a 10-year capital plan and began investing millions in long-neglected infrastructure, which significantly reduced outages. "I think there was a distinct effort on Christine's behalf to open the lines of communication between the cooperative and the largest customers, and we benefited from that," said Mark Delaney, an executive at Smugglers' Notch Resort. The co-op made a "massive effort" to clear vegetation around its power lines and worked with the resort to upgrade an antiquated substation, Delaney said: "Nowadays for us to have an outage up here is pretty rare." Hallquist also proved willing to make prudent but unpopular decisions. In 2006, she sold the utility's territory in Windham and Windsor counties, which had been costly to maintain. "I thought it was a courageous act," said former Public Service Board commissioner David Coen. Facing a $2 million budget gap in 2009, she froze pay at the co-op. Hallquist acknowledged that her relationship with her employees was "rocky" at first but said that by the time she left, it was "exceptional." Seven Days attempted to speak with the co-op's 12 board members to discuss Hallquist's tenure. Only one who overlapped with her, Carol Maroni, who has served for eight years, agreed to an interview. "She was a leader who empowered her staff," Maroni said. "She listened. She built an incredible senior management team at the co-op." However, International Brotherhood of Electrical Workers Local 300, the union that represents VEC employees, has declined to endorse Hallquist. Jeffrey Wimette, Local 300's business manager from 2006 to 2018, recalled that the CEO would frequently make promises she couldn't keep. The relationship between employees and senior management improved, he said, because the former learned to bypass Hallquist. Wimette said that by the time he left the co-op, "she was no longer part of any conversation between the company and the union." Hallquist has dismissed Wimette's criticism, suggesting they had a personal dispute. Wimette's predecessor in the role, George Clain, described a similar tension. "I just know I couldn't trust [Hallquist]," Clain said. "I've dealt with all the utility managements and had good labor relations with them," he said. "With, VEC it was just very challenging." The Democratic candidate has also made the bold claim that VEC is among the most innovative utilities in the country. She's noted that it became one of the first to adopt smart meters and, by 2009, offered customers the ability to track their electricity usage on an hourly basis. Hallquist recalled a group of U.S. Department of Energy officials telling her in 2010 that VEC was one of the most innovative utilities in the country. But she acknowledged that others have since caught up. "We certainly were in 2010," she said. "But I'm not gonna say that we are today. No — that would be not true. I'll just say that we're innovative today." Some of Hallquist's more ambitious ideas never came to fruition. In 2008, she was involved in an effort to establish a $20 million gasification plant that would convert trash and sewage into energy. Environmental activists strongly objected. According to Hallquist, the price of electricity dropped, making the project less viable. In 2004, VEC partnered with the Economic Development Council of Northern Vermont on what was supposed to have been a $10 million project to bring broadband to six northern counties. The endeavor faltered several years later when the council collapsed from financial mismanagement. "We're not the ones that made it fail," Hallquist said. "If I were running it," she started to say, before cutting herself off. "No, I shouldn't say that." Asked in an interview whether she thought she'd exaggerated her accomplishments, Hallquist responded, "Yup, I do." A moment later, she denied the statement: "Oh, I didn't think I exaggerated." "Well, you just said that," her communications manager, David Glidden, pointed out. "I thought you asked something else," Hallquist said. "No, I do not think I'm exaggerating."